Once upon a time I married a man who worked for a company that manufactured lunch and storage containers. Our home was lined with these handy items and then it all came to an end when he moved to another company. As time passed I needed to purchase new containers because ours had gotten lost as is wont to do with your favorite lunch containers. Off I went to the store and was aghast at the prices! For years we over-paid for these poorly sized containers but it was like we had no choice. 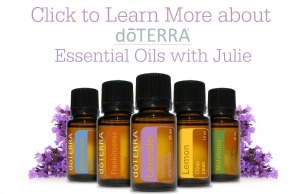 I’d constantly be heading into work with a stack of them to hold my salad and my dressing….my lunch bag was huge! Well recently a fairy dropped me a package of Glad to Go lunch containers to try and all was well in the kingdom again. These containers are the perfect size for my salads, wraps, veggies or whatever else I’m wanting for lunch. There is even a smaller container included for each larger one. This is the perfect little dip/dressing container and it snaps into the underside of the larger container lid so there’s no need for more lunch containers! These all-in-one solutions make it easy to pack combos that you want to keep separated, like salad with dressing or soup with croutons. Glad® To Go Lunch features a large reusable plastic container, along with a dressing cup that snaps into the lid — perfect for holding condiments or toppings. So now you can portion out your meals at home, and prep them as you like at lunchtime. Glad To Go Lunch includes 4 containers (32 OZ) and 4 snap-in dressing cups (1.5 OZ). 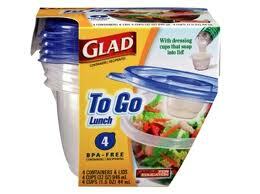 If you are looking to get more organized and make your lunches more simple, you should check out Glad for yourself. Disclosure – I received a GLAD® to GO kit for being part of this special GLAD® to GO campaign. All the opinions on this blog are honest and my own. I absolutely LOVE the idea of the little cup in the lid! Once you go cup you never go back! It’s great having the little container contained inside the big one. Been using glade storage containers for years, they had little round ones I loves to put left over pasta for lunch in:) Have never tried these though!